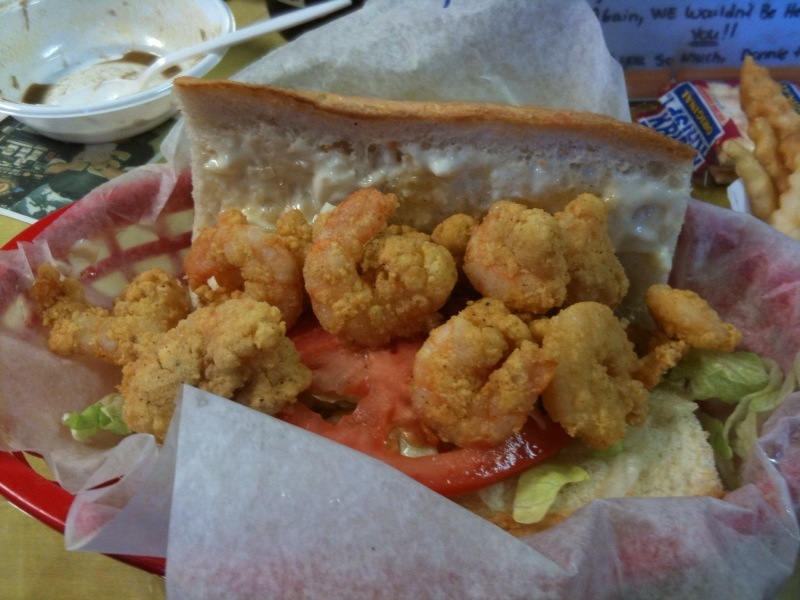 You don’t realize how much you miss a good fried shrimp poboy until you only get to eat one or two a year. And, apparently, you don’t realize that fried foods provoke headaches until you eat fried foods only once or twice a year. Anyway, I had a superb shrimp poboy and cup of gumbo at Huntsville’s Po Boy Factory with MrsDragon and company in celebration of The Dining Dragon’s 6-month anniversary. I had been meaning to eat at the Po Boy Factory for the last couple of years, but somehow never made it there except to buy a king cake. This will not be my last meal there. Glad to get you in the door! As someone who has never been to New Orleans for the real thing, I do know that their PoBoys outshine any of the others in town. The bread is the key to a good poboy!